Our social programme demonstrates the wide ranging and busy social life we have on offer at Woodchurch House. The home has Social Co-ordinators who co-ordinate an active programme of crafts, games and hobbies, as well as regular events, social activities and excursions. 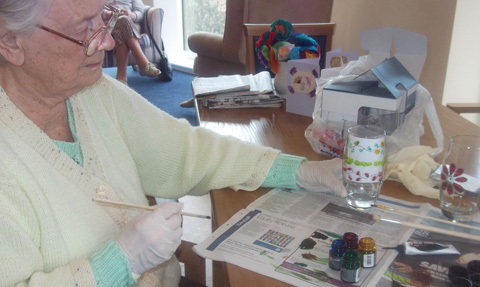 Group activities are more popular in the main lounge to include weekly musical entertainment and a craft group. Some recent activities include a cooking session, a quiz and an exercise group. Outside entertainers visit on a regular basis. An annual visit to a farm to see the new born lambs is always very popular. 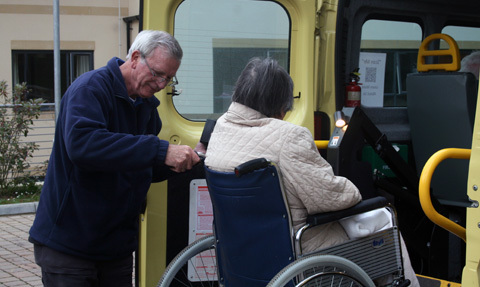 Residents’ views are sought on what type of entertainment and outings they wish to have available and the activities programme is built on their preferences. Some residents prefer to spend time in their own room, it is their choice. A specific programme of activities and experiences is offered with one to one attention for example reading, talking, manicure and massage. Our Social Co-ordinators compile residents’ “Life Stories” by obtaining information from family, long standing friends, old work colleagues, etc. and assembling it into portfolios. These help to bring back old memories and form the basis of discussions to aid reminiscence.